Advance Systems are the current provider of Access Control integrated with Time & Attendance on this site. 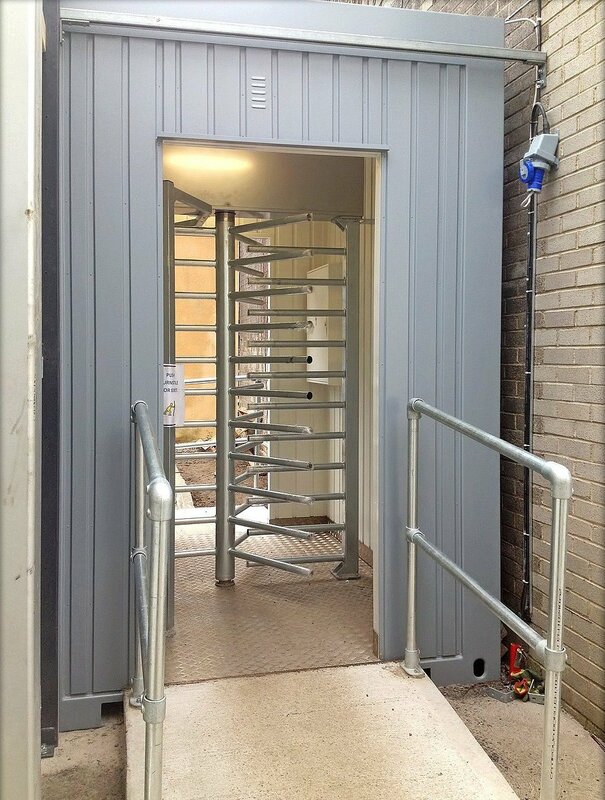 We were asked to provide a modular container with a turnstile installed that could be easily moved if required. 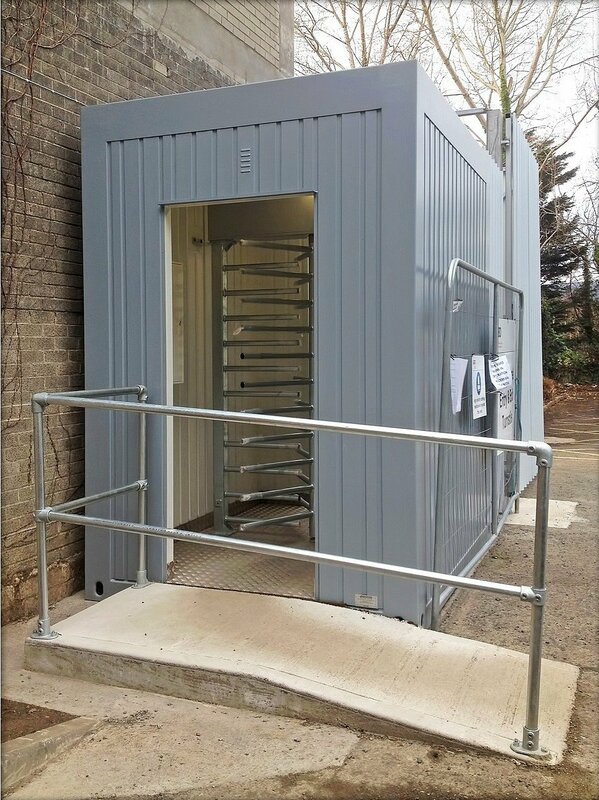 The unit can be moved via crane or forklift and is powered via an industrial plug socket and a lockable Ethernet port for LAN connectivity. All walls are insulated with waterproof plastic board and the floor is covered with chequer-plate steel.